You’re invited to join us for our open house and training event featuring the Power Experience Tour presented by Generac. Take advantage of this great learning opportunity! Natural gas is becoming the preferred solution in many applications. It provides longer runtimes, the permitting is easier, and units with natural gas have fewer emissions compared to diesel generators. Are you considering a natural gas generator? Corey Honl, P.E., Director of Corporate Development, Generac Power Systems, has more on what you should know before you make the purchase. 1. Is natural gas fuel cheaper than diesel fuel? HONL: On a fuel energy basis, natural gas is about four times more cost-effective than diesel. Factoring in the difference in engine efficiencies, diesel generators have more than twice the fuel operating cost of a natural gas generator. The more hours you operate the generator on a yearly basis, the more you will save on fuel costs with the natural gas unit. 2. How long can a generator run off natural gas? How does that compare to diesel? HONL: Natural gas units can theoretically run for an unlimited duration, as the national pipeline network represents an unlimited supply. In practice, both natural gas and diesel standby generators require maintenance, so there are routine interruptions for oil and filter changes, etc. Diesel generators are limited to the amount of fuel stored in the on-site fuel tank, which is typically sized for 24 to 72 hours. If an outage runs longer, the generator’s reliability is limited by your ability to refuel, which is a significant challenge during major weather events. 3. Is natural gas reliable? HONL: The natural gas utility is historically very reliable, with very few outages. Gas pipeline supply has reliability greater than “five 9’s”, meaning the gas distribution system will be operational 99.999+% of the time (source: MIT and GTI studies, white papers available at www.Generac.com). This means the natural gas fuel itself is 1,000 times more reliable than the industry accepted generator reliability of 99%. 4. What is the life expectancy of a natural gas generator? HONL: The life of a natural gas standby generator is the same as a diesel. Typical life span for standby generators is 25 to 30 years. For applications operating outside of standby, engine life is dependent on run hours, maintenance cycles, and the quality of installation. 5. 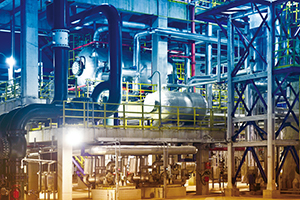 Do natural gas generators meet regulatory and operational considerations? HONL: Generac offers UL2200 listed and EPA-certified (emergency and non-emergency) stationary generators. Generac’s lineup of rich-burn natural gas engines is fully compliant with the strictest operational requirements of NFPA 110, Type 10, for starting, operation, and step loading. For applications with emergency system loads, coordinate with your local authority having jurisdiction (AHJ) on the process for validating natural gas reliability. 6. Are there maintenance and delivery concerns with natural gas as there are with diesel? HONL: Diesel fuel requires annual testing and periodic maintenance to remove contaminants and avoid bacterial growth. It is also significantly impacted by limitations on fuel delivery that occur during and following major storm events. Natural gas has none of those issues. 7. Is natural gas a better fuel for the environment? Why? HONL: Natural gas is one of the cleanest fossil fuels to use. Emissions of sulfur, nitrogen oxides (NOx) and carbon monoxide (CO) are considerably lower on a catalyzed gas engine compared to a diesel. Also natural gas engines have no soot, referred to as particulate matter (PM), emissions like a diesel. In total, a typical 100kW gas standby generator has only 10% the emissions of a corresponding diesel unit. A diesel generator’s higher levels of emissions have consistently led to increased local and national diesel engine operational restrictions. 8. Is a natural gas generator easy to start in cold/poor weather? How does that compare to diesel fuel? HONL: Both engines have the appropriate engine block heating systems necessary to support cold weather starting, but the diesel engines have greater challenges. Diesel engines use the heat of compression to ignite the injected diesel, which becomes more challenging in colder and colder temperatures. Natural gas is ignited with spark plugs much like a gasoline automobile engine. Diesel generators also must always utilize winter blended fuel to avoid fuel gelling. If a fuel supplier mistakenly places summer fuel in the tank, that same fuel will still be in the tank when winter arrives. 9. Is a natural gas generator more quiet? HONL: Genset noise is largely impacted by enclosure and muffler design and is fairly comparable between gas and diesel units. Generator noise is impacted by engine mechanical, radiator, and exhaust sound levels. A natural gas generator typically has less engine mechanical noise, but the other sources of sound are impacted by genset packaging. 10. Can the generator be used in demand response? HONL: Both diesel and natural gas generators can be used for demand response applications with the appropriate exhaust treatment and engine ratings. Diesels must utilize an expensive and complex solution called selective catalytic reduction to meet the EPA Final Tier 4 standard. By comparison, a customer could use the same natural gas catalyzed generator that they would normally use for emergency backup but simply order it with a non-emergency EPA certification. The end result is the natural gas solution is simpler, less maintenance intensive, more reliable, and has a lower total life cycle cost.